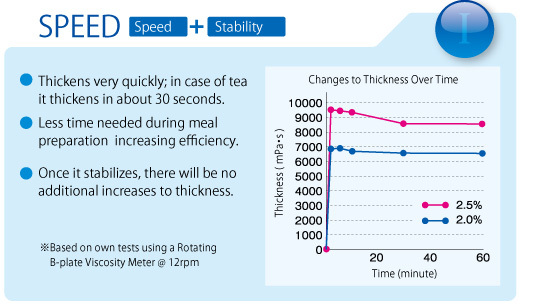 ●Thickens quickly even in small amounts. ●High versatility that can thicken just about anything. ●Will not change the original color or taste. 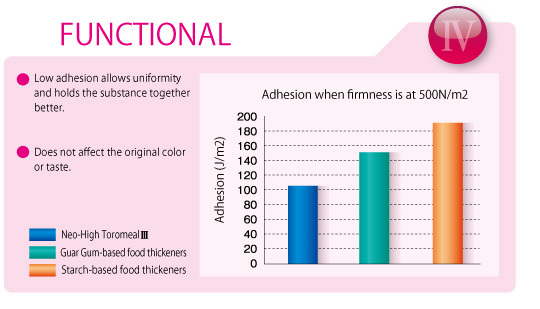 Food Thickeners should not have any characteristics that are stronger than the other. 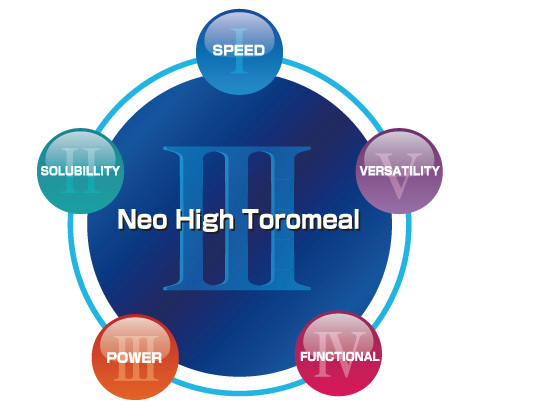 Maintaining the balance of these 5 characteristics are good not only for care givers,but for those being cared for. 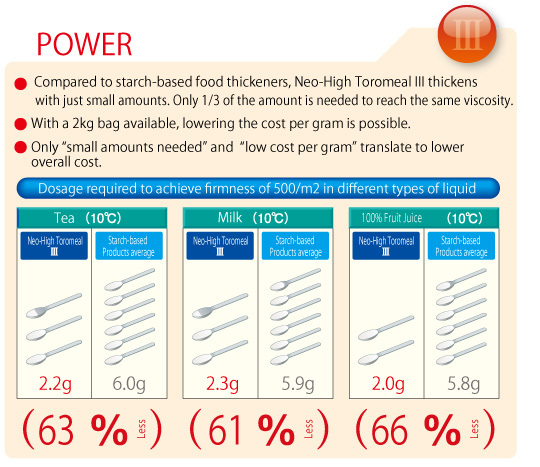 ● Add the food thickener while stirring the liquid such as water, tea, milk, juice, sports drink, warm soup etc. ● Will begin to thicken after 1 minute after being added. 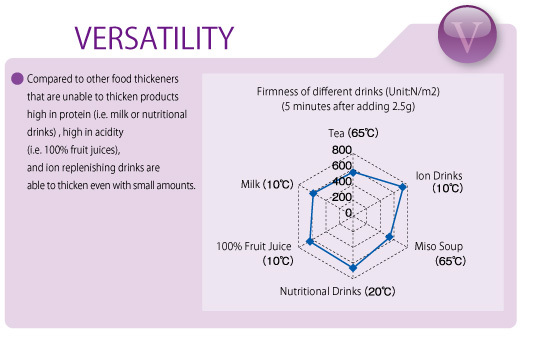 (Some liquids require 5-10 minutes to thicken especially for liquids that are acidic or high in protein). 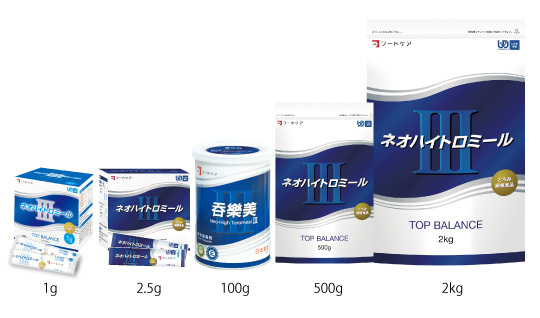 ●Because it is difficult to dissolve in meat or fish, etc. adding the food thickener into broth, soup, etc separately and added together is recommended. ● When dishes are put into a blender, please add liquid such as soup and soup while adding the food thickener. before mixing once more time. 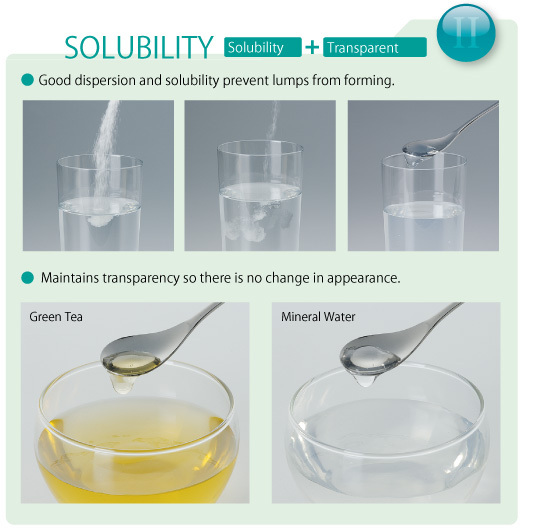 ● If viscosity is too thick, add the same liquid and stir to dilute the thickness. 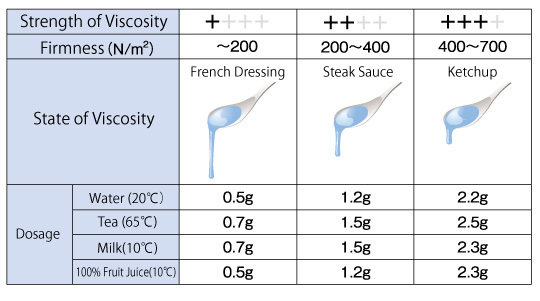 ● If viscosity if not thick enough, you can increase it by preparing separately a higher thickened liquid and adding it back into to original liquid to increase the viscosity. 2. This product is in powder form. Please do not ingest directly as it may cause aspiration. to 10 minutes for it to thicken. check the temperature before consuming. 8. When used by a care giver, please make sure that the thickened substance has been properly swallowed. 9. This product does not guarantee the prevention of aspiration (choking). 10. This product contains dietary fiber and may cause bloating or constipation.